A Modern Major General Exposed? July 2006 – The 29th Session of the Codex Alimentarius Commission took place in Geneva, Switzerland, 3-7 July, 2006. Whilst it may have been somewhat “out of the limelight” recently, the Commission’s support for the “business with disease” has continued unabated, and the wide scope of its activities continues to make it a significant and growing danger to the future health of all humanity. After some initial introductions from the Commission’s new Chairman, Dr. Claude J.S. Mosha of the United Republic of Tanzania, an opening statement was made by Dr. Kraisid Tontisirin, Director of the Nutrition and Consumer Protection Division, Agriculture, Biosecurity, Nutrition and Consumer Protection Department, FAO. Tontisirin talked about the growing interest in Codex in “civil society”, claiming that Codex can be proud of what it has achieved, but adding, ominously, that there is a lot still to be done. He added that it is important to communicate the work of Codex to “civil society”. In talking about the work of Codex – and in particularly sharp contrast to claims by the Natural Solutions Foundation that FAO has expressed “significant displeasure with the anti-health approach to nutrition taken by Codex over the past 4 decades” – Tontisirin particularly emphasised the collaborative partnership that FAO and Codex enjoy. 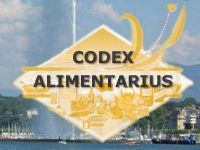 As regular visitors to our website will no doubt already be aware, the legal bases for the Commission’s operations and the procedures it is required to follow are published in the Codex Alimentarius Procedural Manual. Codex delegates make frequent reference to this publication during their meetings, and repeatedly stress the importance of Codex standards and other related texts being drawn up in accordance with its requirements. Nevertheless, and as the adoption of the Guidelines for Vitamin and Mineral Food Supplements in July 2005 demonstrated only too well, the Commission is quite happy to follow these rules when they suit its aims, but not when they threaten them. The proposal to delete this statement was most significant, as the Commission frequently claims that the adoption by countries of Codex guidelines is merely optional. Nevertheless, here it was considering the deletion from the Procedural Manual of a statement that some texts were “advisory”. Notably therefore, the delegation from the United States was openly in favour of the proposal to delete this statement. Several other delegations meanwhile – including those of Malaysia, Singapore and the National Health Federation (NHF) – opposed its deletion, expressing the view that if no reference were made to advisory texts then it might logically be presumed that Codex texts were indeed mandatory. As a result, the Chair subsequently acknowledged that there was strong and sustained opposition to the proposal, and the matter was forwarded back to the Codex Committee on General Principles without the aforesaid amendment to the Procedural Manual being made. This year’s meeting of the Commission also considered a list of additives recently recommended by the Codex Committee on Food Labelling (CCFL) to be permitted for use in organic foods of plant origin and in some organic dairy products. The delegation from Cuba strongly objected to the adoption of this list, whilst NHF objected to the inclusion of carrageenan on the grounds that there is some evidence it is associated with the formation of ulcers in the intestines and cancerous tumors in the gut. NHF also made the point that consumers equate usage of the word “organic” with safety; and as such, given that one of the primary stated aims of Codex is supposedly to protect the health of consumers, that carrageenan should not be permitted for use in organic foods. The delegations from the United States and the European Union, however, supported the adoption of this list of additives. Nevertheless, bearing in mind that the Commission’s Executive Committee had also recently expressed concern about its adoption, albeit on a technicality, the Chairman returned the list to CCFL for comments and further consideration. Arguably the most controversial issue discussed by the Commission affecting organic food was a proposal by CCFL for Codex to undertake new work on the inclusion of ethylene in the Guidelines for the Production, Processing, Labelling and Marketing of Organically Produced Foods. Ethylene is used to artificially induce fruits and vegetables to ripen whilst they are in transit, and as such this proposal represented a disturbing step towards World Trade Organization-enforced acceptance of the same dubious and unnatural agricultural practices that their non-organic cousins are already subject to. During the Commission’s discussions, NHF pointed out that whilst consumers purchase organic foods for a wide variety of reasons there can be little doubt that the increasing demand for organic food is representative of the fact that consumers increasingly want their food to be produced in as natural a manner as possible. As such, it went on, interfering with the rate that organic food ripens is not conducive to producing it in as natural a manner as possible, despite the fact that plants produce their own ethylene as part of their ripening processes. NHF concluded by saying that it strongly believed the commencement of this work would be in direct contravention of principles that are widely accepted and promoted by consumers and advocates of organic foods, and asked for its objections to the proposal to be noted in the Commission’s report. Nevertheless, and despite further objections from the delegations of Cuba, Egypt and the Philippines, the Chairman ruled that work on the inclusion of ethylene in the Guidelines could go ahead. Codex proposed definition of advertising contravenes UN Universal Declaration of Human Rights? Another controversial decision at this year’s meeting of the Commission was a decision to approve new work on a definition of advertising in relation to health and nutrition claims. The wording of this proposed definition raises several key questions. For example, as well as its potential to result in the prohibition of advertising legitimate, published, peer-reviewed scientific research papers, could it also inhibit health freedom organizations from influencing and shaping attitude, beliefs and behaviours regarding the sale of dietary supplements? Similarly, could restrictions on advertising based on this definition be said to contravene the right to freedom of opinion and expression and/or the freedom to hold opinions without interference and to seek, receive and impart information and ideas through any media and regardless of frontiers (both of which are enshrined in Article 19 of the United Nations’ Universal Declaration of Human Rights)? Regardless however, given that the ‘business with disease’ depends for its survival upon the restriction of any and all means by which consumers can obtain natural health information, potential restrictions on advertising are now clearly a key health freedom issue at Codex. 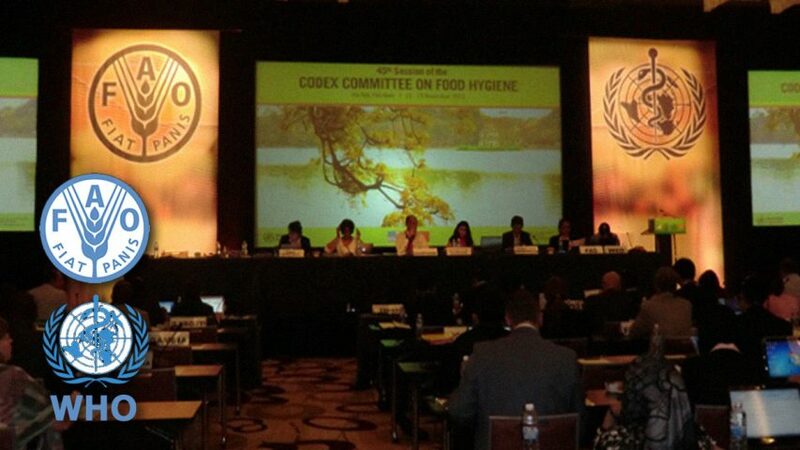 The background to this agenda item goes back to the July 2005 meeting of the Codex Alimentarius Commission, in Rome, Italy, where it was decided that the potential areas for action by Codex in relation to the implementation of the WHO Global Strategy were mainly relevant to the work of the Codex Committee on Food Labelling (CCFL) and the Codex Committee on Nutrition and Foods for Special Dietary Uses (CCNFSDU). As a result it was agreed that the World Health Organization (WHO), in cooperation with the Food and Agriculture Organization of the United Nations (FAO), would produce a document for consideration by these committees, including specific proposals for new work. Discussions at this year’s meeting of the Commission opened with a summary by a representative of WHO regarding the discussions that had taken place thus far at CCNFSDU in November 2005 and CCFL in May 2006.
WHO and FAO respectfully request that the Commission accept the delay in presenting a document for their consideration during this 29th session. If the Commission so decides, WHO and FAO will complete an action document for Codex soon after the present session of the Commission and the Codex Secretariat will circulate it for comment to all Codex Contact Points by way of a Circular Letter. The comments received, together with the document itself, will be considered by the next sessions of CCNFSDU and CCFL. The views and recommendations of these committees will then be forwarded to the 30th Session of the Commission for further guidance. The Chairman put these recommendations to the Commission, and it was agreed that WHO and FAO would complete a document containing concrete proposals for possible actions by Codex, and that this would be circulated for comments. The comments received, together with the document itself, will then be considered at the next meetings of CCNFSDU and CCFL, after which the views and recommendations of these committees will be forwarded to the next meeting of the Commission for further guidance. 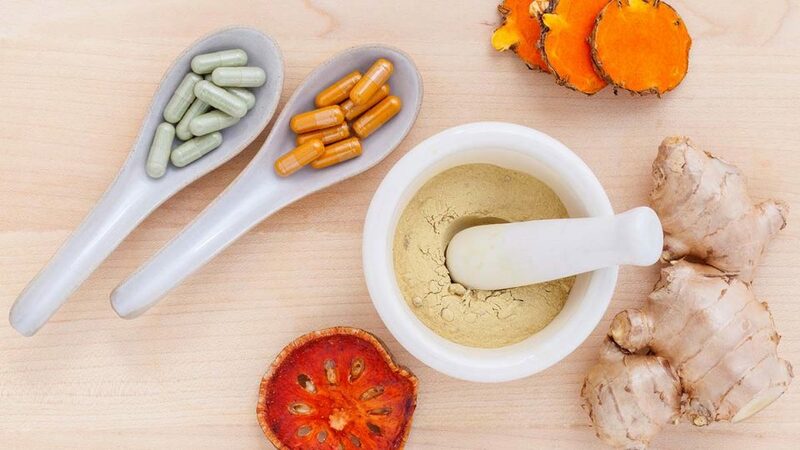 One respondent noted that dietary supplements can play a key role in eliminating world hunger and promoting world health outcomes in line with the Global Strategy and in line with the mandate and work of Codex. As such, regular visitors to our website will note the stark contrast between this fact and claims being made by the Natural Solutions Foundation that Codex has been directed to implement the eleven proposals made by South Africa. In some senses the meetings of the Codex Commission present quite a different overall picture to the one that is sometimes observed at meetings of some of the individual Codex committees. For example, whilst on the one hand the Commission is intimately connected to the hydra-headed beast controlling the global food and nutrient supply, the reality is that its meetings can at times be chaotic, disorganized and inefficient. Moreover, whilst some delegations, such as the European Community, the United States, Canada, Australia, New Zealand, Malaysia and India undoubtedly follow closely everything that goes on, others at times give the appearance of being unprepared; of not taking proper notes; of not properly understanding what is being discussed; or of only being interested in particular agenda items. Also, and in addition to the manipulation that goes on both behind the scenes and during the meetings themselves, there can be little doubt that Codex is increasingly a monolithic bureaucracy, and that as such it is subject to many of the same problems that all pan-global organizations are prone to becoming infected by. Much of the time, for example, the countries that attend Codex meetings are pulling in opposite directions simultaneously, with the result that nothing ever gets agreed quickly and whatever does get agreed is by definition a lowest common denominator result. Furthermore, and as the Review of the Codex Committee Structure and Mandates of Codex Committees and Task Forces has notably pointed out, “Most of the committees are comprised of dedicated expert specialists. They are largely autonomous and with little formal linkages or accountability to other committees. They generally propose their own work programmes, in areas which are so specialized as to make close oversight or scrutiny by the Commission extremely difficult.” Whilst we would obviously strongly differ with this statement over its use of the phrase “expert specialists” (in the sense that so far as dietary supplements and natural therapies are concerned Codex committees mostly contain neither experts nor specialists) the reality is that its general thrust is essentially not quite so wide of the mark as some might imagine. Autonomous committees with little formal linkages or accountability to other committees are perfect targets for being hijacked by industry, special interests and the proponents of “harmonization at any cost” – especially so when the texts that these committees produce are used by the WTO to resolve international trade disputes. Add into this mix the fact that the vast majority of the national delegates who attend Codex meetings have only a very limited knowledge of modern nutritional science and natural therapies, and it very quickly becomes easy to see how we ended up where we are now. The cosy picture that the Codex Alimentarius Commission paints of itself on its website is largely disinformation designed to deflect us from its true purposes. Nevertheless, whilst this picture has latterly been further complicated by organizations and individuals spreading additional disinformation about Codex, we should not allow this to distract us from the truth. Codex is not just about nutritional supplements. In fact, it is the primary political battlefield where the war is being waged about who will regulate and control the global food supply from farm to fork. This ‘war’ is being waged by an increasingly tangled web of global authorities, big business and financial interests, and, as such, trade and profit are its prime goals – not human health. Current indications suggest that the long-term financial winners in the battle to gain control over the world’s food supply are likely to be the pharmaceutical and chemical industries; especially so given that the adoption of still further Codex guidelines for foods derived from biotechnology now seems almost inevitable. As a result, our freedom of choice, our future health and the environment itself are all now clearly at risk. Good nutrition and optimum health threaten the pharmaceutical industry’s “business with disease” because they reduce the size of the marketplace for synthetic drugs. However, food that is free of pesticide residues, artificial additives and other contaminants can, by definition, only come about as a result of a lower global usage, or ideally the entire elimination, of these chemicals. This, of course, would not be in the financial interests of the pharmaceutical and chemical companies that manufacture such substances, as it would clearly result in lower profits, better health for entire populations, and a consequent reduction in the use of synthetic drugs. In conclusion therefore, whilst it may have been somewhat “out of the limelight” recently, the Codex Alimentarius Commission’s support for the “business with disease” has continued unabated, and the wide scope of its activities continues to make it a significant danger to the future health of all humanity. Do we want to see a world where our access to safe, nutritious foods and effective dietary supplements is restricted and controlled by pharmaceutical and chemical interests? If not then we must act now, before it’s too late.